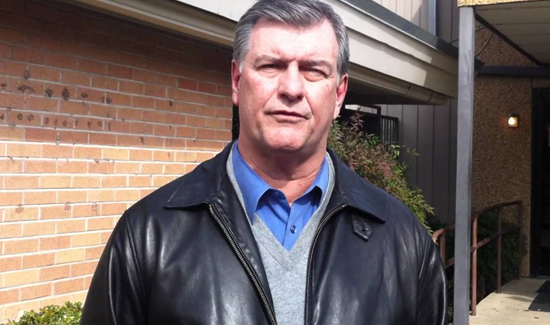 In Dallas, Mayor Mike Rawlings (above) said Sunday that he won’t support legislation meant to save the failing Dallas Police and Fire Pension System. “This is a poison pill that, as inserted, would damage the city of Dallas and its services for decades to come,” Rawlings said in an interview. Rawlings’ stance frustrated Flynn and escalates what had been a tense, high-stakes political standoff between Dallas police and firefighters, retirees, the pension system and City Hall. A combination of unsustainable benefits and overvalued and underperforming investments have left the first responders’ pension system on track to become insolvent within 10 years if the Legislature doesn’t change the laws that govern the retirement fund. But Flynn talked tough about the mayor on Sunday. Through a spokesman, Flynn said in a statement that he is “deeply disappointed” and hopes “the mayor thinks better of” his opposition. Flynn added that “10,000 police and fire retirees and active members and their extended families will be damaged” by Rawlings’ position. Rawlings said he was equally “disappointed and disheartened” that the provision, which Flynn had in the bill when he filed it last month, remained in the bill on Friday when the chairman released a replacement version. Theoretically, both amounts are roughly the same in the first few years. And the bill operates under the assumption that the city’s contribution will grow in subsequent years anyway because of annual salary increases for police and firefighters. But city leaders don’t like that taxpayers will have to pony up an escalating amount of cash every year no matter how many officers and firefighters the city employs or what it pays them. “Basically, it amounts to nothing more than a taxpayer bailout,” Rawlings said. But pension officials had also said last month that they couldn’t support the legislation in its current form because of other sections in the 177-page bill. They took issue with a portion of the bill that would direct the board to pursue future benefit reductions for retirees who pocketed the most money from the system. Kelly Gottschalk, the pension system’s executive director, said Sunday through a spokesman that she tentatively plans testify in favor of Flynn’s bill. Pension officials won one major change they wanted into the new version of the bill: a 50/50 board that splits control between the city and police and firefighters. Flynn’s original bill gave the city more control over the board. Rawlings still wants the city and professional money managers and investors to have more power because the fund ran amok — albeit with little-to-no city resistance until recent years — under the control of mostly active and retired police and firefighters. Police and fire associations also plan to support the bill but will express their reservations Monday. They won’t put up too much of a fight against a crux of the bill, which is that active police and firefighters will have to pay more of their money into the system and accept reduced benefits. Dallas Police Association Vice President Frederick Frazier was “beyond disappointed” that the mayor won’t join them in their support. McDade doesn’t believe Rawlings actually wants to save the pension system. But Rawlings said that’s not true. Rawlings said he still wants to work with Flynn. But the mayor may not have much luck with amending the House version to his liking now that he has irked Flynn. State Rep. Jason Villalba also said the mayor is using bullying tactics and that his colleagues would perceive his position as “acting in bad faith.” But the mayor could also push for changes and find a more receptive audience in the Senate. Rawlings knows his stance will aggravate police and firefighters who have already made him their public enemy No. 1 during an emotional battle over their pension system’s future. He ought to check with the FORMER mayor of San Jose, Calif and find what happens when you do this.